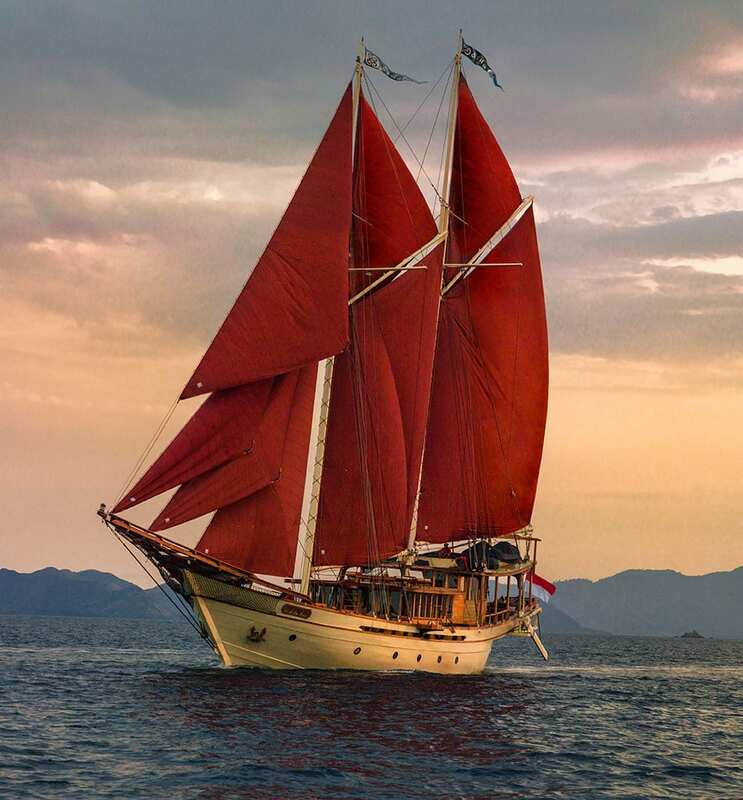 There is nothing more romantic, exotic or downright adventurous than boarding your own private Phinisi sailing boat decked out in antiques and state-of-the-art amenities and setting off to sea to explore secluded coves, traditional villages and deserted islands. 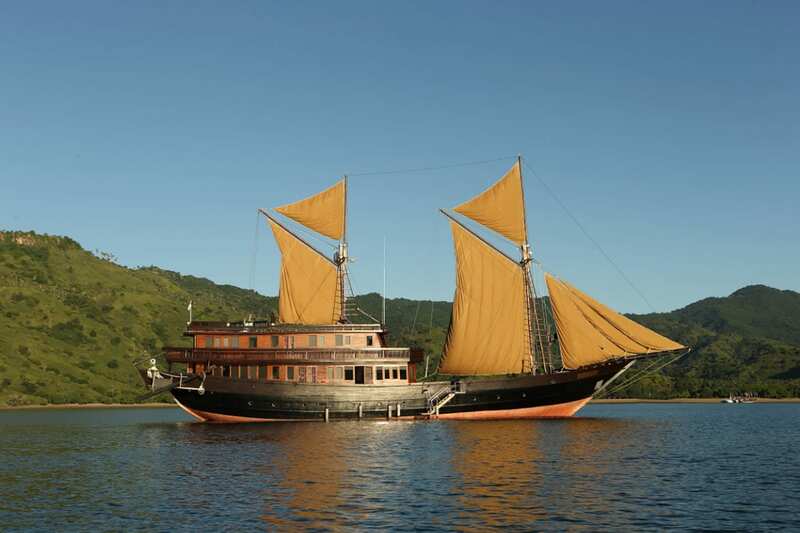 The Alexa is a traditional Indonesian sailing vessel that has been lovingly restored to provide you with unique and luxurious cruises around Bali and the Indonesian archipelago. The ship's 7 crew includes a Cruise Director who is a certified dive instructor, a Resident Spa Therapist, Private Chef and Captain with 15 years navigating experience. 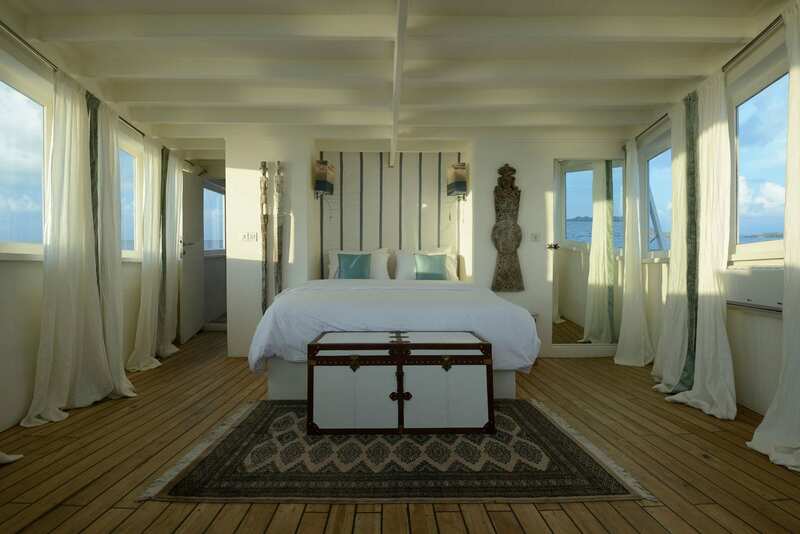 The 31-metre-long Alexa consists of two decks and has been built by hand in the traditional style of a Phinisi. 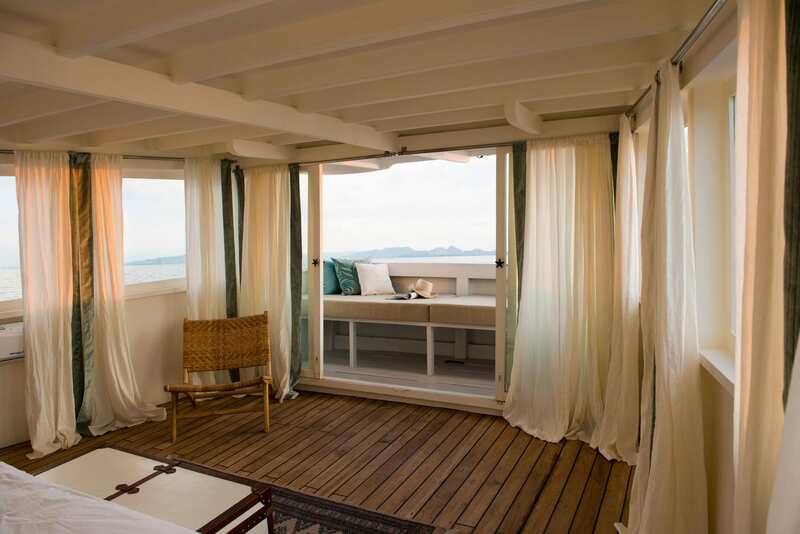 In keeping with Oazia’s emphasis on style and sustainability, the furniture throughout the boat is custom-made from teak, rattan and other locally sourced materials from Indonesia. 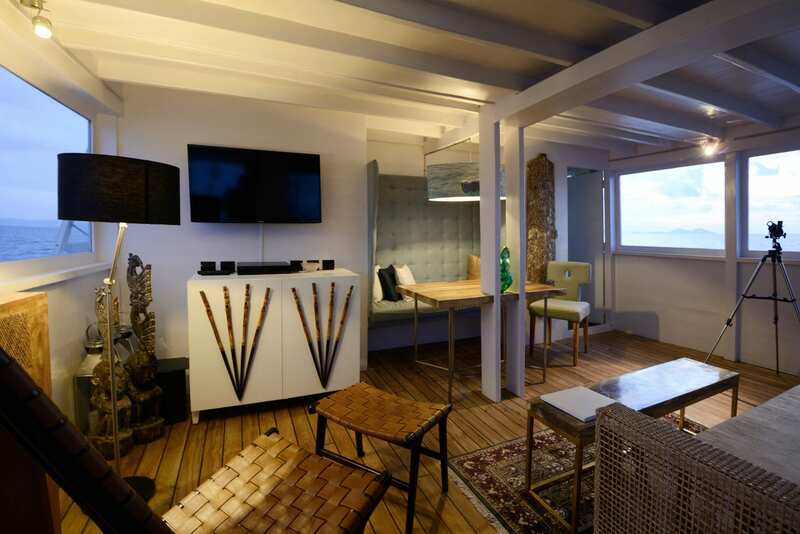 The main deck offers several open lounge areas and on the lower deck is a library stocked with travel books and maps, along with a big screen TV. The original ship’s galley has been replaced with a modern open galley. 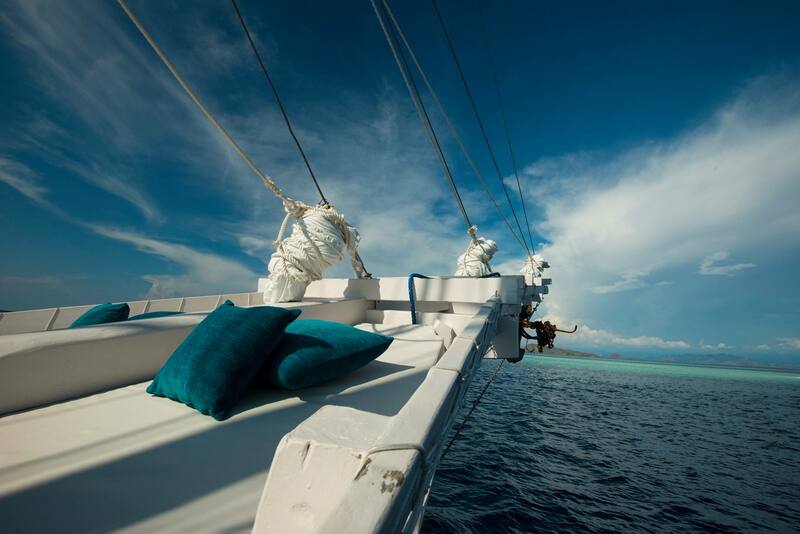 While on board, you will be treated to five-star service by the friendly and professional staff. 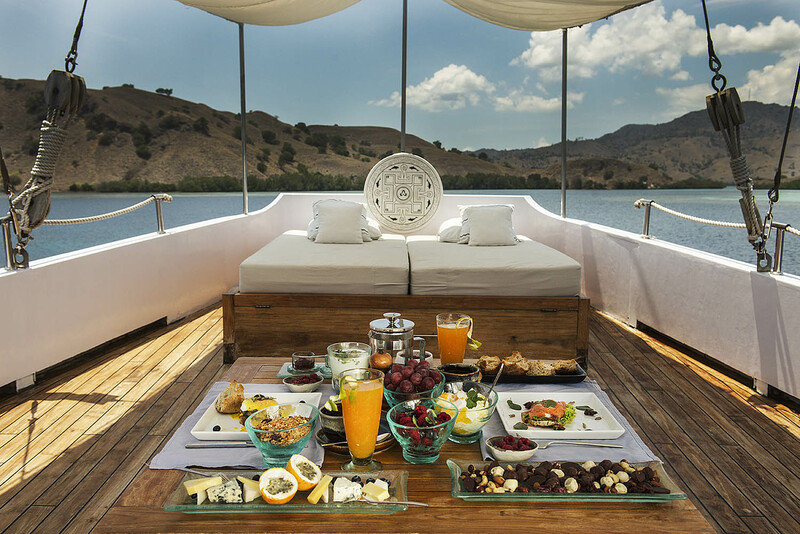 Your private chef will provide you with custom gourmet meals, the butler will serve up champagne and sunset cocktails on request, and the cruise director can help you plan bespoke cruises based on your specific dreams and desires. There is even a personal dive instructor onboard, should you wish to see some of the magnificent underwater world that awaits offshore. 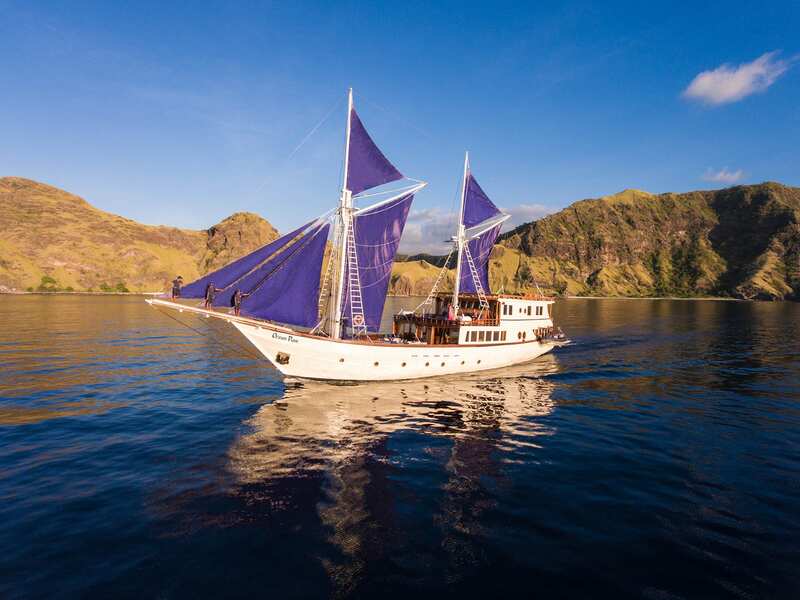 Couples seeking the ultimate in luxury, can now explore the Indonesian Archipelago aboard a traditional sailing vessel built just for two. 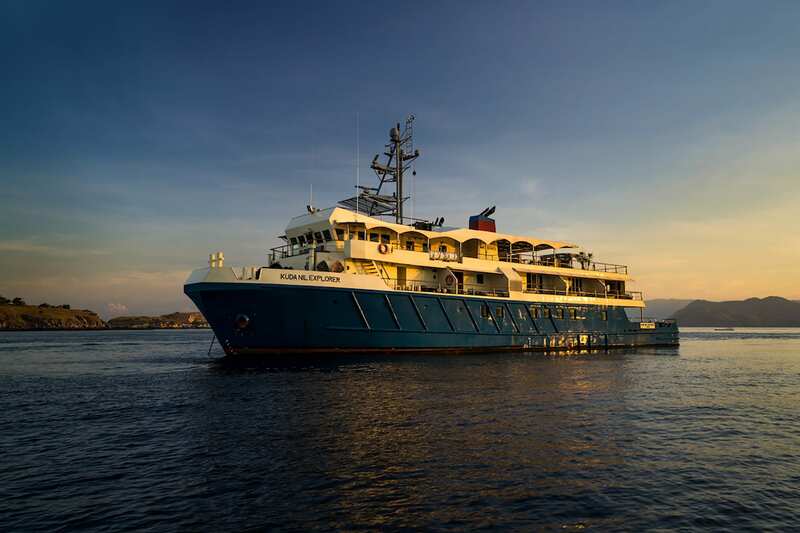 With only one expansive cabin on the 31-meter Alexa, cruises are individually tailored to couple’s wishes, from surfing in Sumbawa, trekking and diving in Komodo National Park, or swimming with dolphins in the Flores Sea. 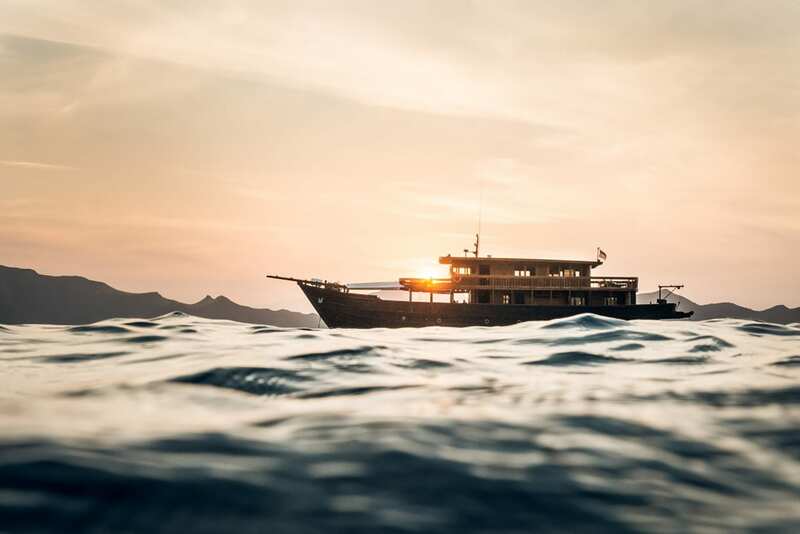 Walk on a deserted beach in a far-flung exotic island or just kick back and do nothing at all, aboard what is essentially a luxury floating resort for two. One well-appointed suite, with air-conditioning and queen-size bed, en-suite bathroom with shower, double wardrobe, and balcony relaxation area. The master suite, which is expansively, designed boasting large, wraparound windows offering 270-degree views of the ever-changing yet incredible landscape providing the ultimate space for relaxation. A library, lounge, open kitchen, indoor dining area seating up to 4 people, Under the Stars sleeping area, and plenty of space outside to unwind and enjoy the views. 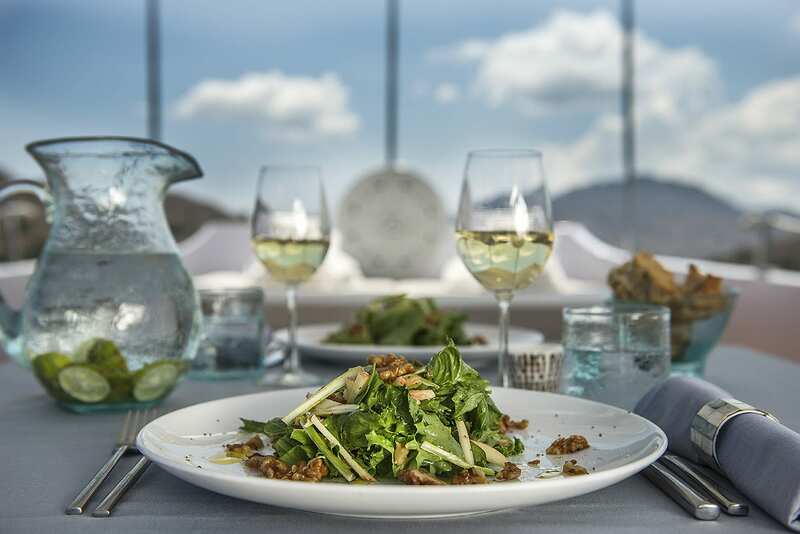 Guests will be able to dine at leisure in the air-conditioned dining room or on the outdoor deck. Meals and an extensive list of non-alcoholic beverages are all-inclusive while alcoholic beverages including wines, beers and cocktails are available for an additional charge. 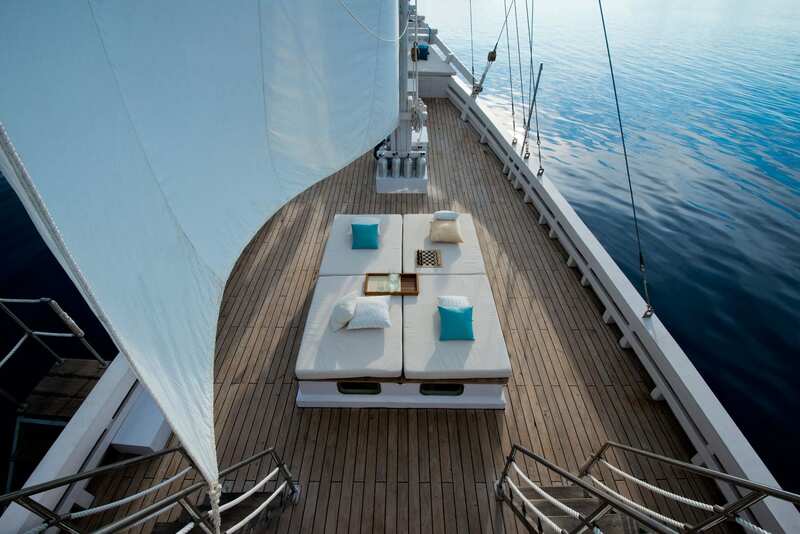 The main outdoor deck has large oversized daybeds shaded by tarpaulin – perfect for relaxing day or night and enjoying the fresh sea breezes. And with a spa therapist aboard the vessel, guests can succumb to the soothing pleasures of a signature Alexa massage on-board or on a nearby beach. The Alexa also has its own fully licensed PADI dive centre, catering to qualified divers. Development courses offered on-board range from Open Water Diver to over 16 specialties, including Deep, Peak Performance Buoyancy, Drift and Underwater Naturalist. There is plenty of equipment for all guests on-board as well as a dedicated freshwater rinse tank for camera equipment. 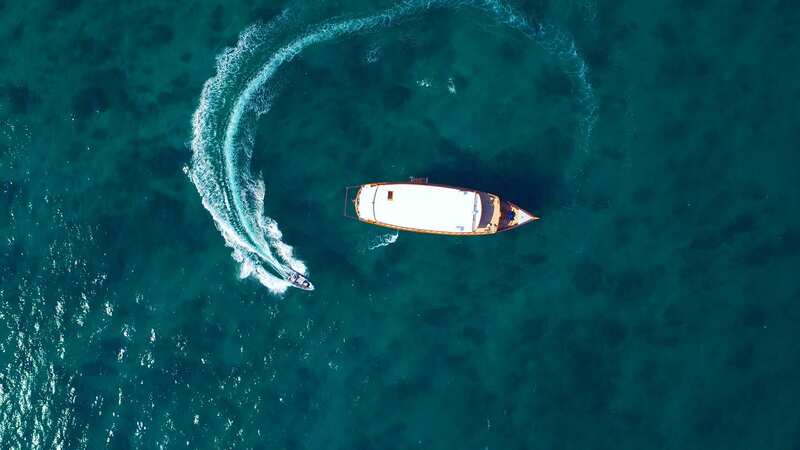 For those with a taste for adventure, surfing, fishing, snorkelling, visiting local islands and pearl farms are among the many other pursuits on offer. Alexa was built in 2013 and spans 31m with a beam of 6.5m and a draft of 2.5m. 1 cabin accommodates up to 2 guests (with space for children available in the saloon area). She cruises at a maximum speed of 8 knots. The trip we took with Alexa and her incredible crew was by far the most memorable. Not only will you experience an untouched natural paradise, spectacular landscapes, powder soft white and pink sand beaches without a single other soul on them, azure crystal clear waters but also a psychedelic underwater wonderland for the best diving I have experienced. Once I found Alexa, a vision of love in white on the water, I was immediately hooked. 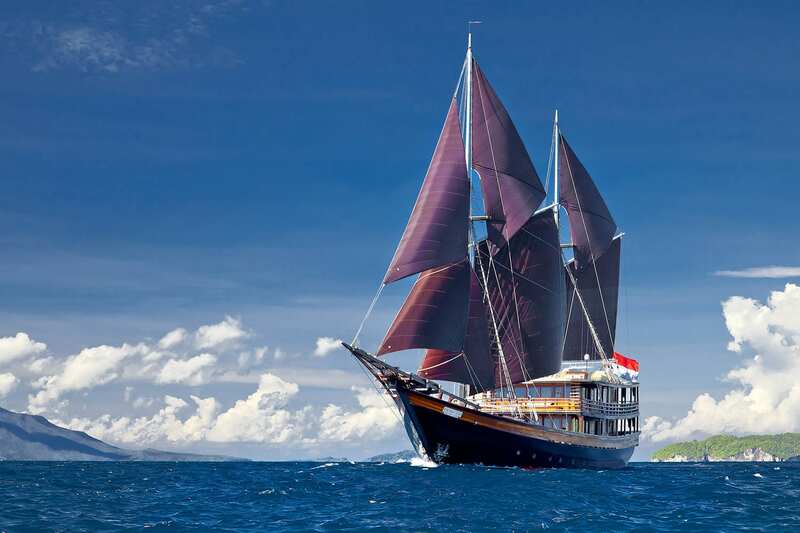 Just picture: One master stateroom, a private chef, masseuse, dive master, all for me. 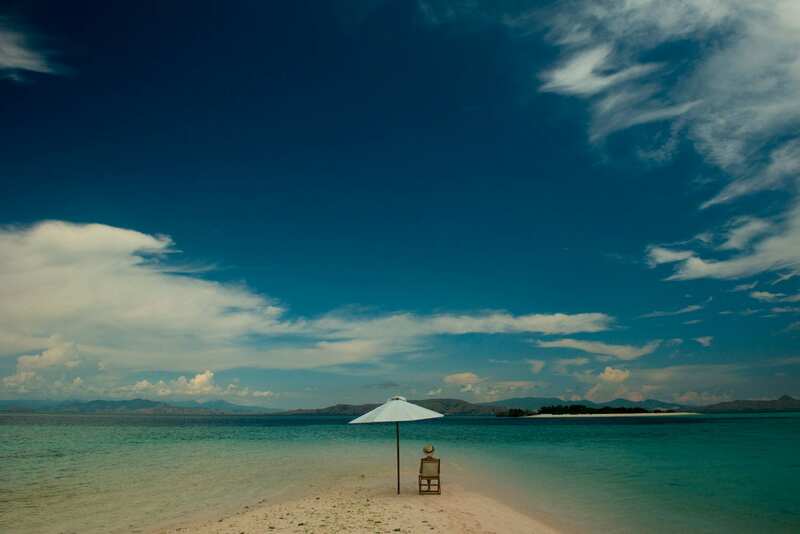 Every minute of the day catered to what I wanted to eat, drink, where to swim, hike, and best of all – dive. I woke for every sunrise and the beauty of this place will take your breath away. Go! It will renew your soul and make you feel love like never before. I loved it so much I went back three weeks later. Seas are full of fish, mantas, and... sharks (reef sharks, no worry about them). Beaches are stunning and virgin. 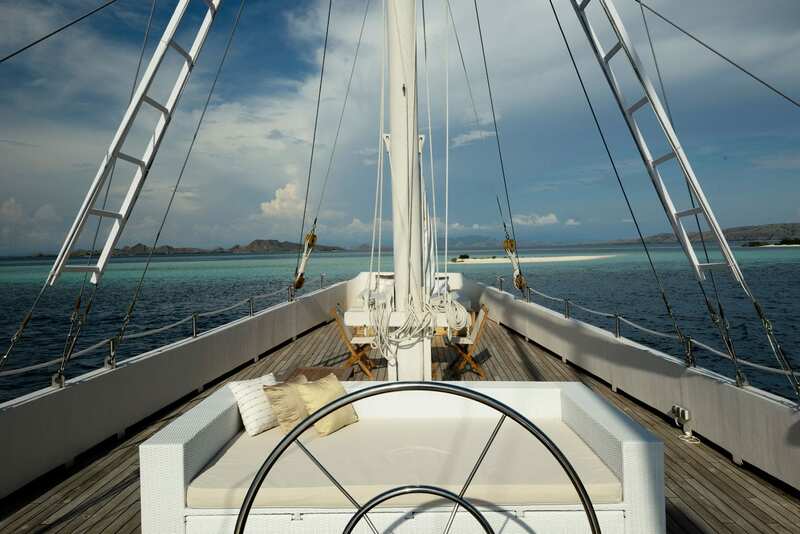 And all this just for the two of you (and your crew) as you are on board of your private, most luxurious sailing boat in the world. 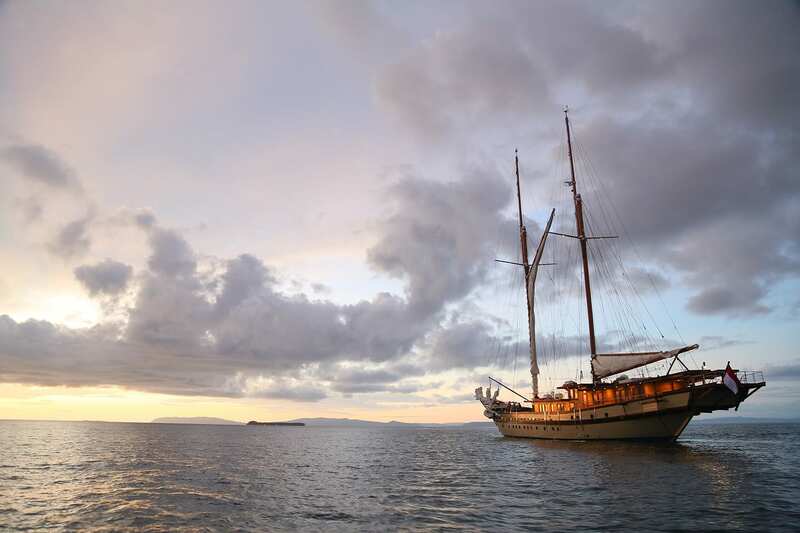 We spent 4 days on board and it was an unbelievable adventure – the lifetime adventure we'll never forget. Stunning 4 days, stunning wildlife, great service. Thank you, thank you, thank you! Grazie mille!!! Thank you for the unforgettable experience onboard Alexa. The beach dinner was the highlight of the trip. Special thanks to the chef and all the crew! 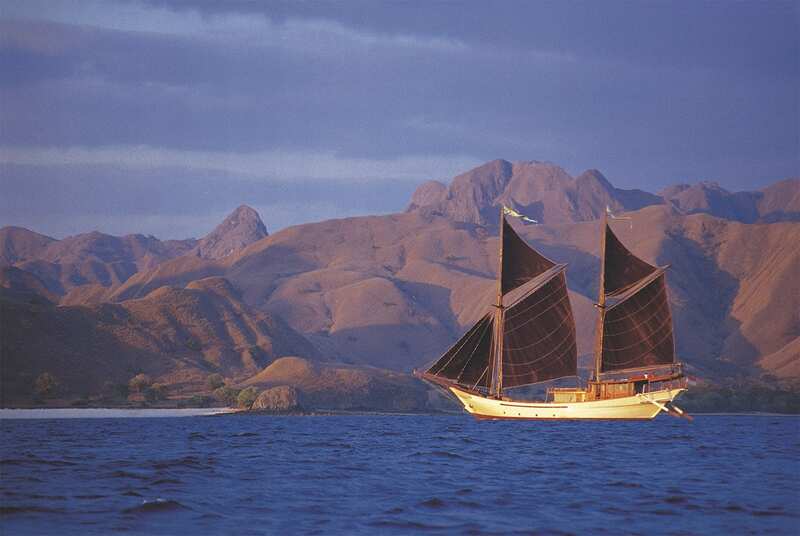 Komodo will aways be in our memories - Raja Ampat this year! 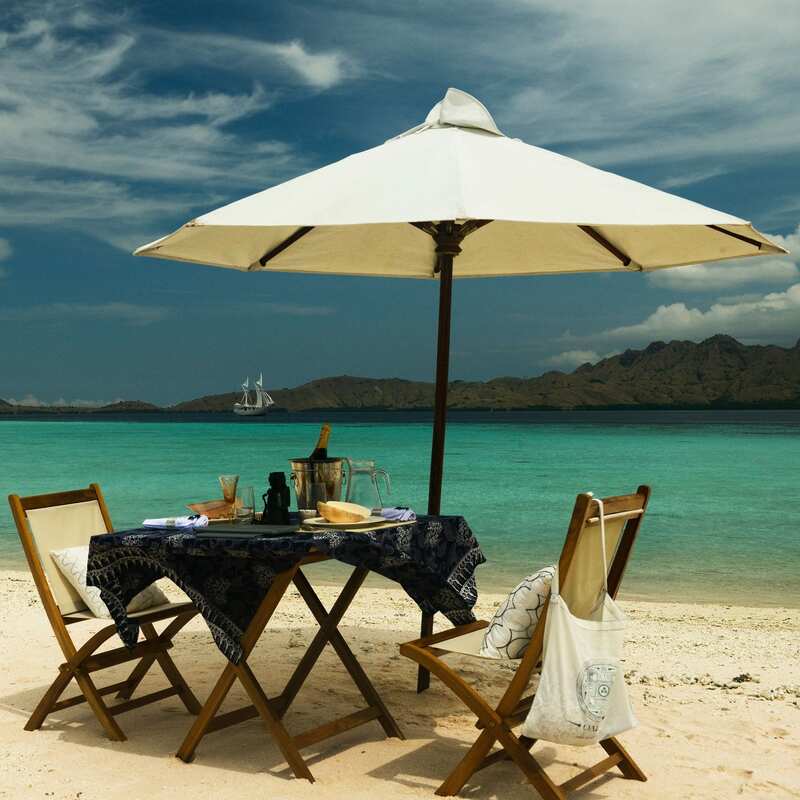 You arranged a perfect itinerary for our week long trip ( I wish we could have stayed longer). Each day we had a different spot to stay overnight, different treks to do, different dive sites (all fantastic). We managed to see everything we were hoping for, and more. 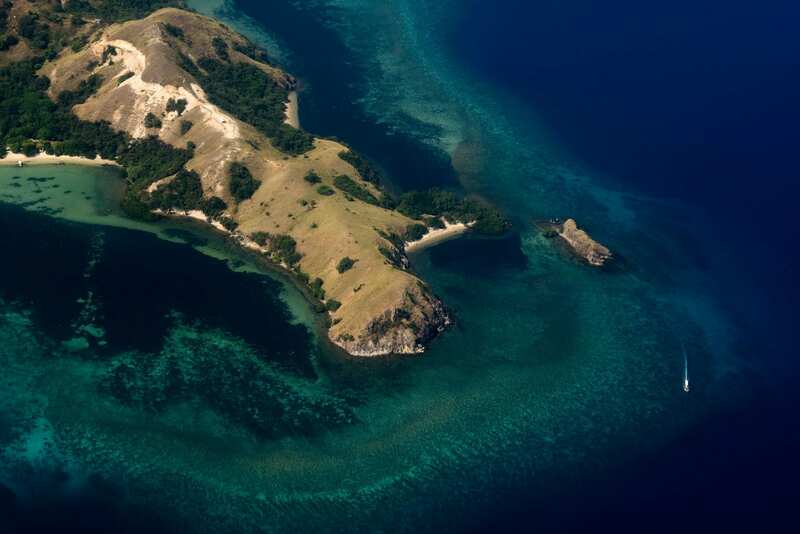 Including seeing the famous Komodo dragons up close and in their natural habitat. Amazing! Thank you! The manta rays, sharks, dolphins, turtles, etc. were incredible and every dive was different and to come back to the boat for a facial, massage and a delicious lobster dinner, or even better, go over to a beach to BBQ freshly caught fish and watch the sunset. Our time onboard was literally a dream! 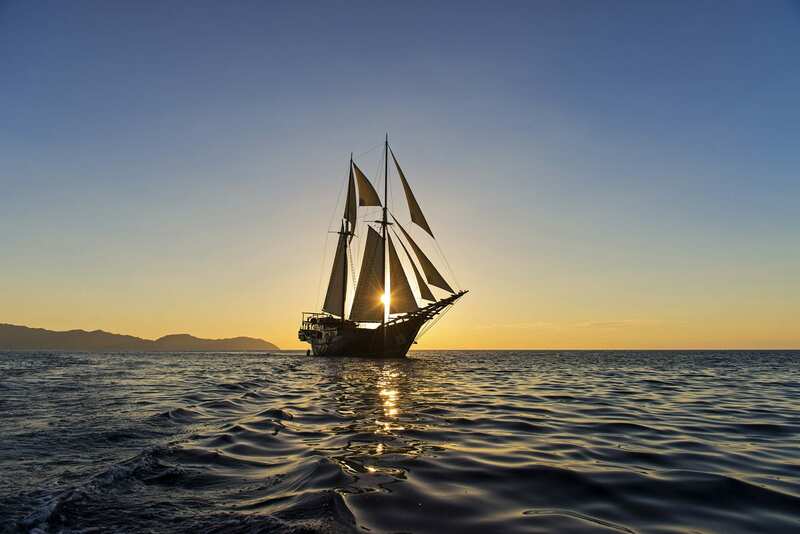 Lamima is the world’s largest wooden sailing yacht and one of the most luxurious phinisi yachts ever built. 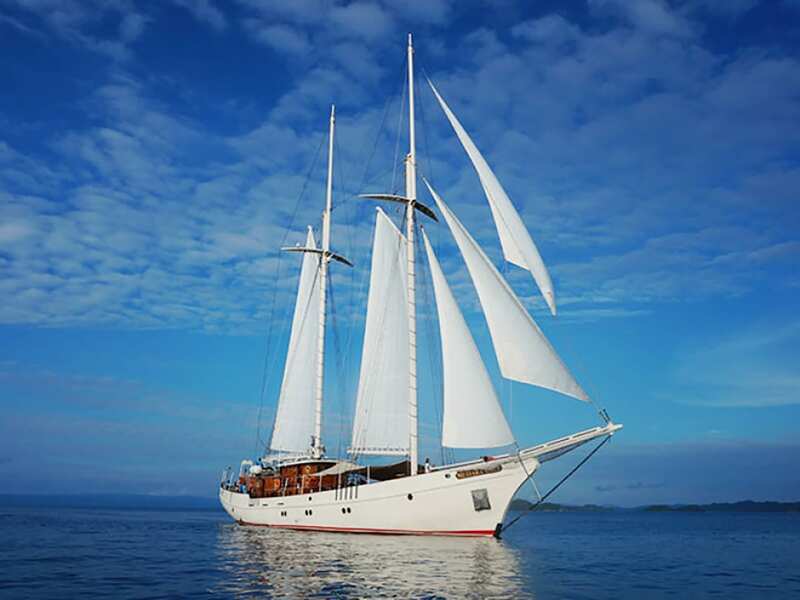 Designed by Marcelo Penna, she combines ancient phinisi elegance with modern specs for the ultimate classic superyacht experience.